Search New Jetta . . .
We have a large selection of brand new Volkswagen vehicles to choose from. We have a large selection of vehicles and the most competitive prices in the area. We have an extensive inventory of new Volkswagen models available for you to choose from. No matter what you might be looking for in a new car, we will make sure you find a model that meets your exact needs. Whether you want something efficient, something fast or something spacious, we have a Volkswagen for you at our O’Fallon dealership. Let us help guide you through all of your options in the new 2018-2019 VW model line-up! From the new VW Jetta and Passat to the Beetle and Golf GTI, we’ve got the models St Louis area drivers love. If you’re looking for a vehicle with an even more affordable price, then one of our used cars could be a great choice for you. We have all kinds of pre-owned vehicles available including used Volkswagen models and many other makes as well. These vehicles have been carefully inspected to ensure they are safe, high-quality and ready to provide an excellent ride for years to come. They are also offered at fair, competitive prices that can fit into your budget. Once you choose the car you want, that’s when the hard work usually starts. 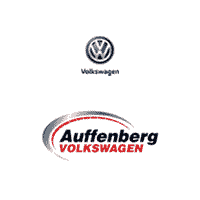 But at Auffenberg Volkswagen we have a team of auto financing experts who make the financing and payment process as simple as possible. We are happy to help you secure any auto loans you might need, decide if buying or leasing is right for you, come up with a payment plan and offer any other assistance you might need to get your financing in order so you can get out on the road in your new car. Once you’re out on the road in your new car, you’ll need to schedule maintenance and repairs to keep it in excellent shape for as long as possible. As soon as your vehicle is ready for any maintenance or repairs, you are welcome to schedule your auto service with us. We have a top-notch service center and a team of highly-skilled technicians who will gladly give your vehicle the care it needs using genuine Volkswagen parts to keep running at its best. Our dealership is conveniently located at 1708 New Car Drive, O'Fallon, IL. You are welcome to visit us at any time and we will gladly take care of all your car shopping, service and finance needs. We are always happy to offer our customers any assistance they might need, so you can count on us for a great experience. We hope to see you soon!